Does this seem like overkill for a town with a population of about 1,000? It is. As you are leaving Boonville, this is what you pass. But don’t fear the overkill of highway patrol cars lined up. They are fake. These cars are in Boonville for this week’s shooting of a high speed chase movie based on some video game by the same name: Need For Speed. I guess locals aren’t the only ones who love to drive through these wide open spaces with beautiful redwood and vineyard views. 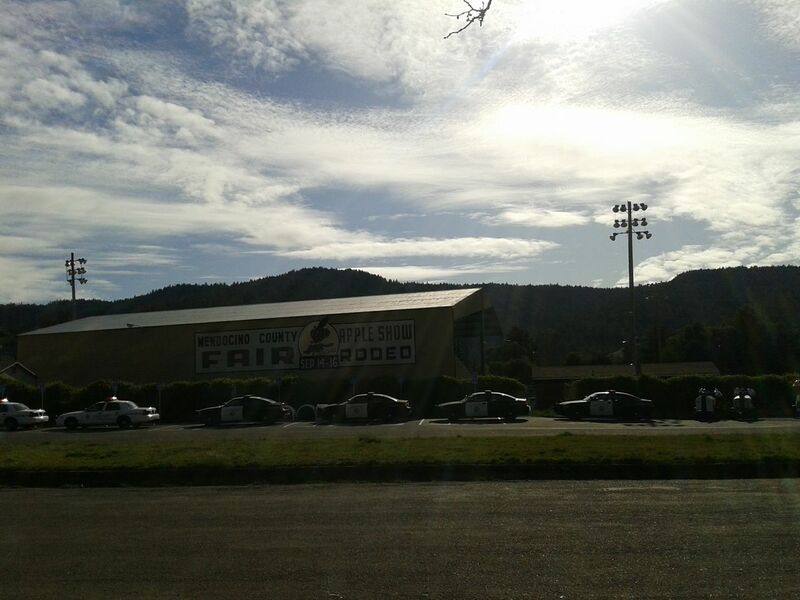 This entry was posted on Tuesday, April 2nd, 2013 at 11:03 PM	and posted in Boonville. You can follow any responses to this entry through the RSS 2.0 feed.